The Secret Weapon is Hydrus, a Proven Performer. Monday, July 11, 2016 – Carson, CA — The grueling Hero Workout “Murph” (1 mile run, 100 pull-ups, 200 push-ups, 300 squats, 1 mile run — all in a weight vest) has been chosen as one of the first “announced” workouts for The Games and Hydrus is wishing all athletes success at this year’s events. It’s not clear whether Murph will be for Individuals or Teams, traditional or on-the-beach — but ultimately it is a great test of Fitness. Hydrus is the hydration tool that can assist athletes to perform and be replenished, even when competing in the hot sun environment. Last year’s Murph event was an exhilarating start for many athletes. Unfortunately for others, dehydration let to fatigue, cramping, and loss of mental toughness. This year, we’re urging athletes to pre-hydrate with Hydrus leading up to the games and closely watch their hydration regiment throughout the event, keeping properly hydrated with Hydrus. 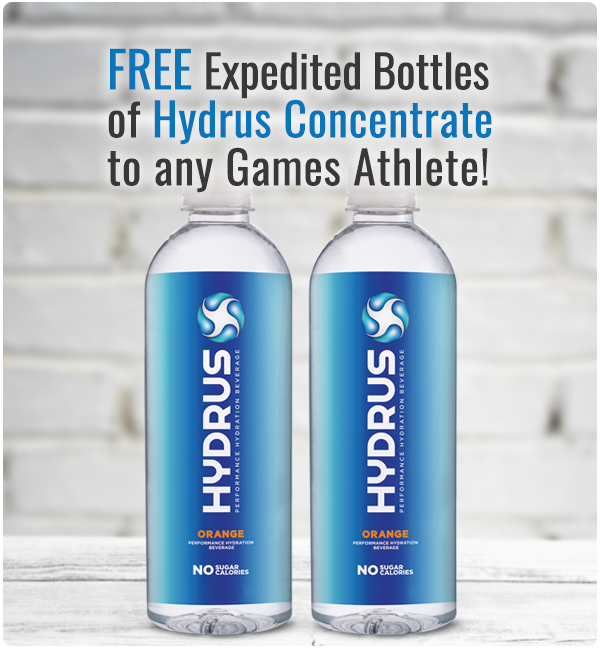 As a gesture to the community, Hydrus Performance is offering to expedite Free Bottles of Hydrus Concentrate to any Games Athlete who contacts our team via direct message on Instagram or Twitter @hydrusedge before Friday, July 15. Athletes must contact us directly from their Instagram or Twitter accounts to request the expedited shipment, so that our team can validate authenticity. 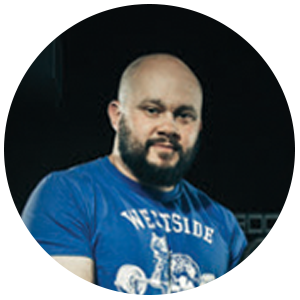 Shane Sweatt - A trusted name in the community stands by Hydrus’ effectiveness for elite hydration. Hydrus is leading edge science for delivering more water and electrolytes with unrivaled speed and effectiveness, and can assist those with dehydration stress to reach better health and wellbeing in many different ways. Hydrus’ Nanosome™ encapsulation is a bio-delivery breakthrough in the science of hydration. It is a fast, active delivery system that uses nano encapsulation to achieve higher absorption of electrolytes and water, getting them very quickly into the body’s fluid systems (i.e. the bloodstream, lymphatic system and interstitial water) beginning in the mouth. The science of Nanosome™ Encapsulation, combining microbiology and nanotechnology, is the most elegant oral delivery system ever developed. The Nanosomes™ are less than 100 nanometers in size (one-billionth of a meter). They are the body's perfect delivery system... Nanosomes™ are small hollow sphere shaped molecules that encapsulate electrolytes and water, made of phospholipids, which is the same material found in all cell walls within the body. Hydrus is available to order online at shop.hydrusperformance.com in 8 oz. concentrate bottles or in single serving packets.